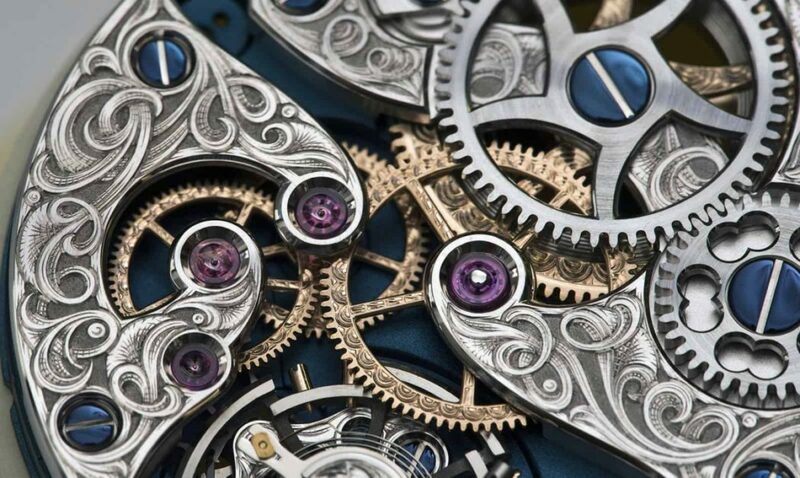 Watches, like many other types of machines, can also serve as art. 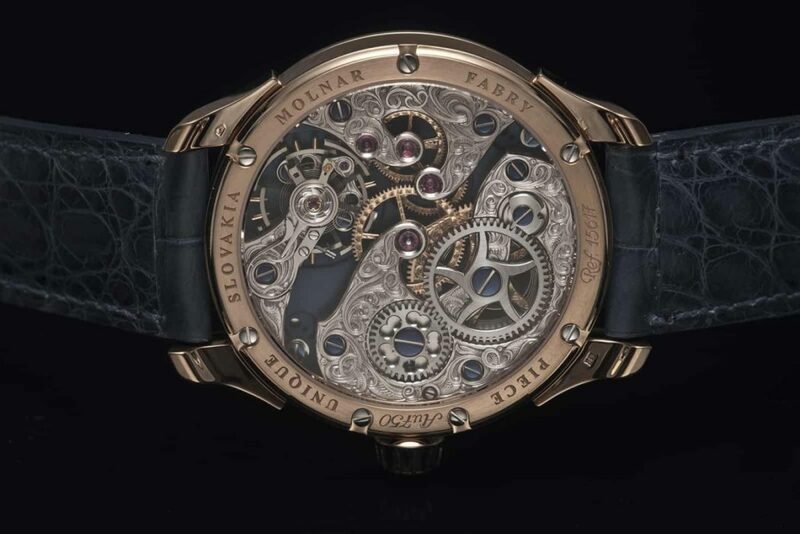 And the latest creation from the Slovakian shops of Molnar Fabry certainly qualifies as such a dual-purpose object. 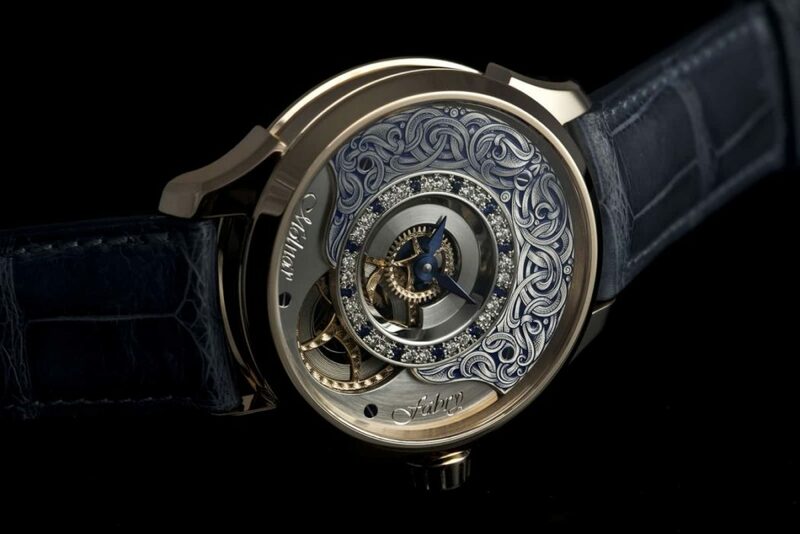 The Classic Gentleman Blue, as this one-off timepiece has been named, is built around a charming 44 mm pink gold case, to which an alligator leather strap is attached. 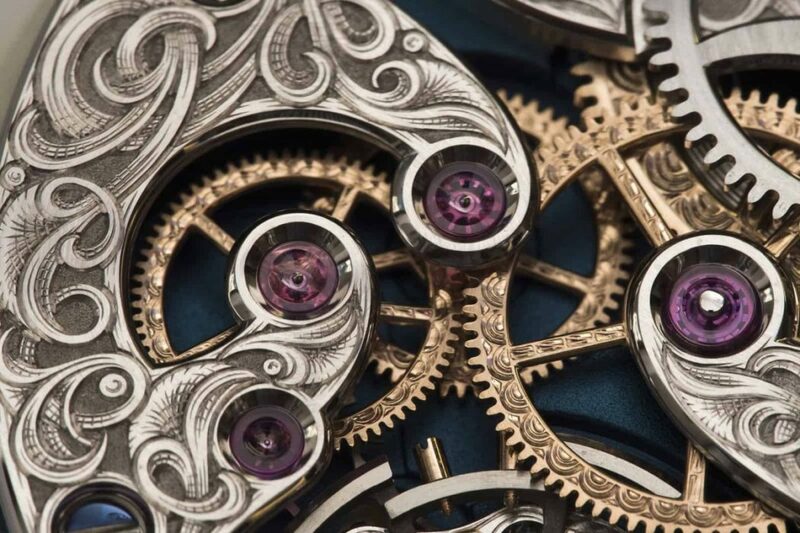 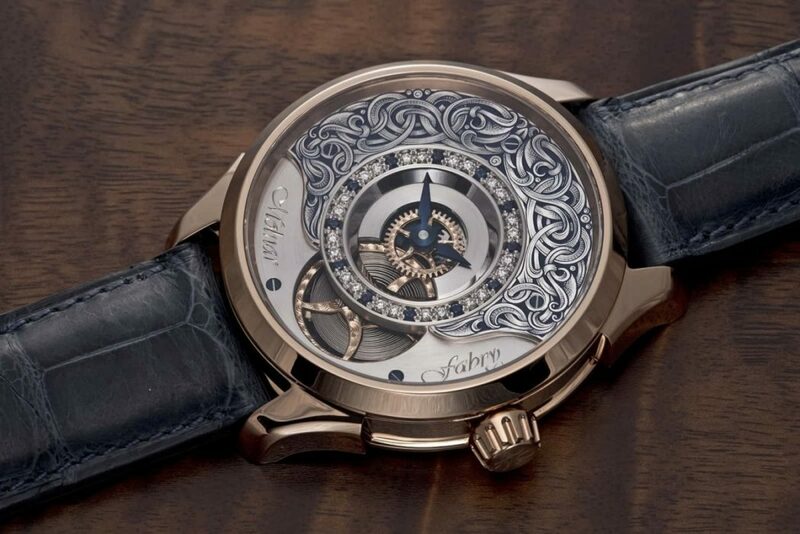 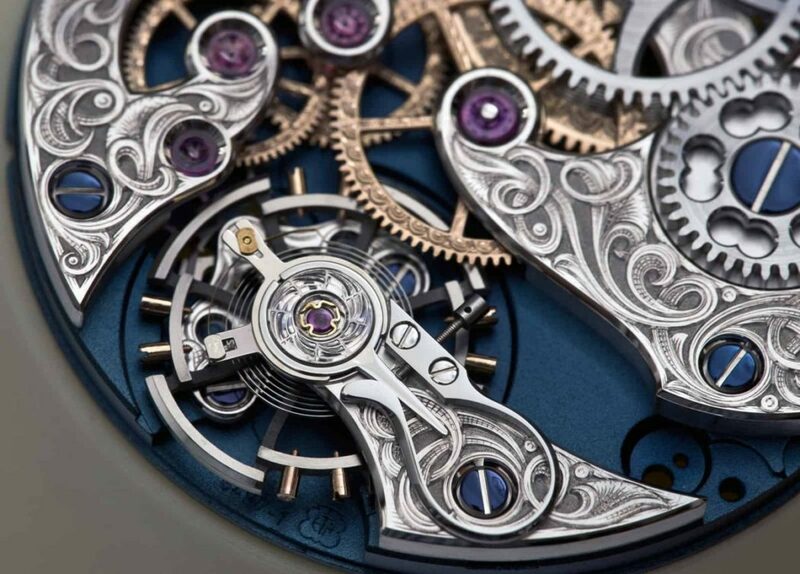 Inside the case, you’ll find the ETA Unitas 6497-1 movement festooned with a band of diamonds and sapphires on the front, and some truly spectacular engraving on the front and the back. 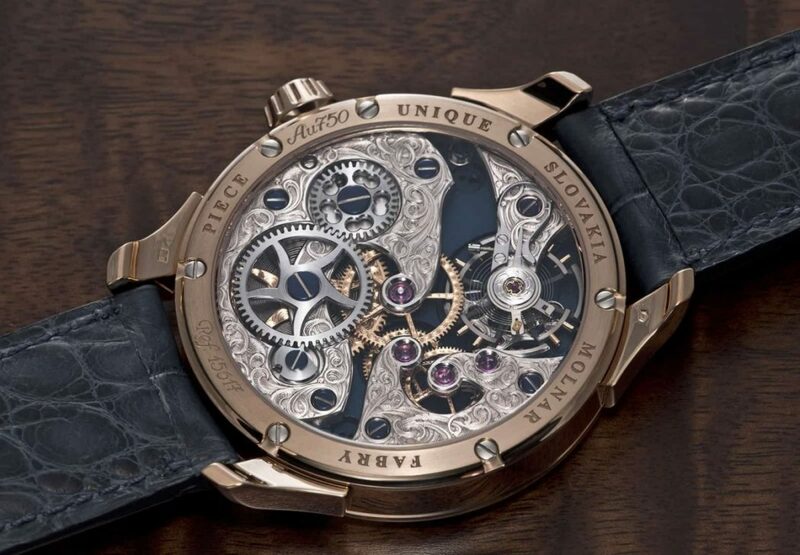 No indication of how much this watch cost its buyer, but it’s safe to assume the number is pretty big.